""Last week I went to my (so-called) secure storage just outside Milton Keynes, to collect my 1964 A65 Star, which I had stored there, only to find that it, and a…n Ariel Square 4, had been stolen over the Winter. It must have happened between three and six months ago, but nobody had seen anything suspicious over that time. I am obviously gutted, but would ask people to look out for them. The BSA is reg. number 938 AET, frame number A50-5594, and the engine number EC22535. 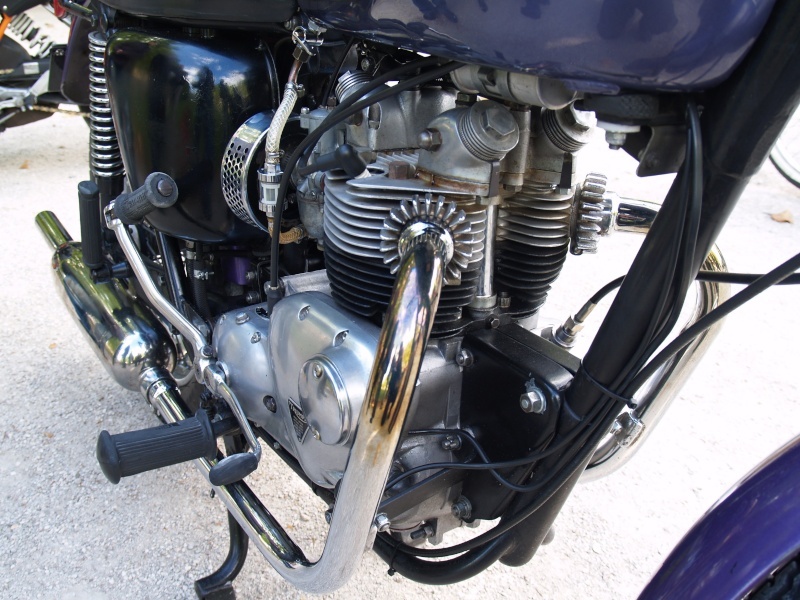 The Ariel had been converted to swing-arm frame, and is UXS 165, frame number BP7326, engine number DK625. A reward is offered for their return."" une tite photo serait utile....perso je ne regarde pas les numéros des que je vois une moto....avec une photo çà interpelle au premier coût d’œil..... et ensuite on peut s'y intéresser de plus prés.... ton partage de transmission est en anglais....volée en France?